Be prepared when the unthinkable happens to yourself, a loved one, or even a stranger. This basic life-saving course will teach you how to correctly perform cardiopulmonary resuscitation (CPR) and to correctly use an automated external defibrillator (AED) on adults, children, and infants. After successfully demonstrating proficiency in the skills learned in class, you will leave certified by the American Heart Association (AHA) and prepared to be an everyday hero, ). This course meets all requirements for healthcare providers, childcare specialists, educators, personal trainers, and those working in service-related fields. Please read: If you are a teacher, childcare worker, or unlicensed healthcare professional, you must take First Aid and CPR/BLS. If you are a Licensed Healthcare provider, you only need to renew CPR/BLS. 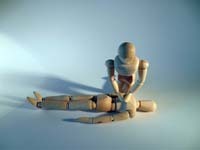 Take Basic Life Support (CPR & AED) and First Aid for just $79!